The Old Invisible Mending Shop described by some as a jewel in London's West End. Our retail shop at 32 Thayer Street London W1 in London's West End was established over 75 years ago and has been run by the same family who have been attending to customers clothing requirements since 1946. It is widely known that we repair suits, trousers, jackets, coats and skirts but some peopleare not aware that we can also effect near perfect repairs on knitted garments, regularly repairing moth damage in favourite cashmere sweaters, etc. 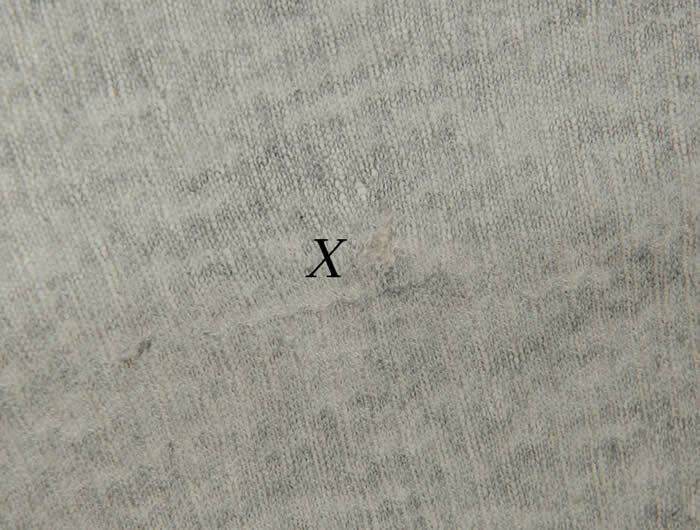 The damages are carefully re-knitted by hand making the previous blemish virtually undetectable. 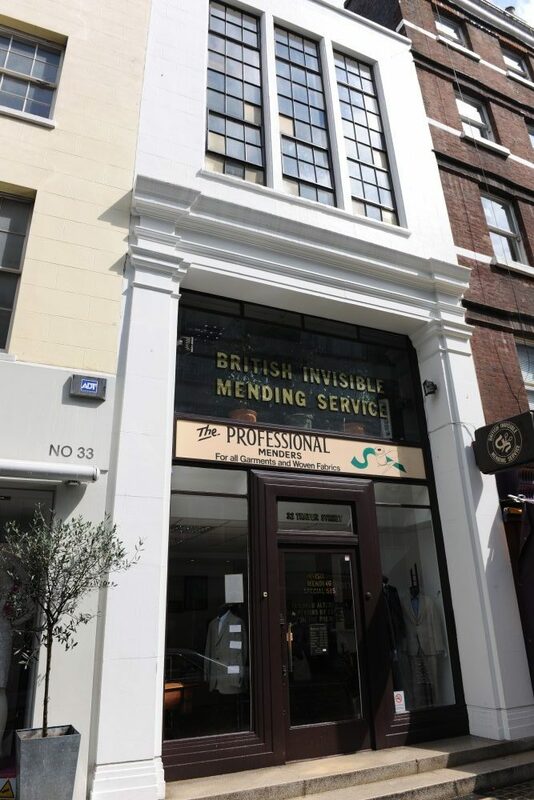 Normal turnaround time for our invisible mending service is 7 to 10 days for garments taken directly to Thayer Street but an express 24 hour service can sometimes be arranged at extra cost. This service regularly taken advantage of by businessmen and tourists alike, with only limited time in London. 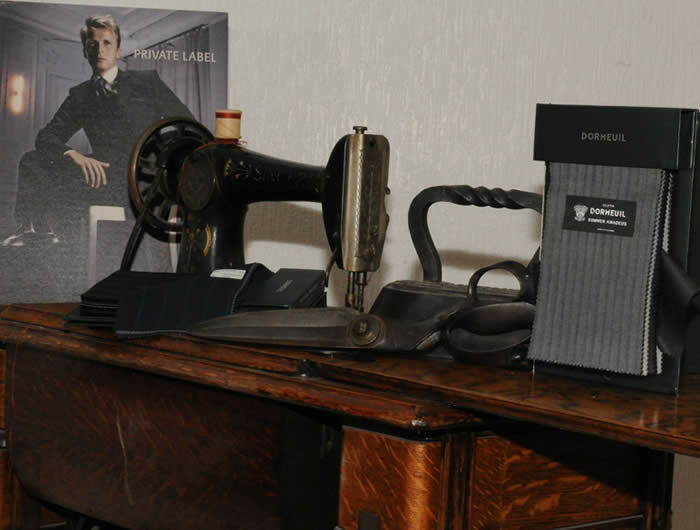 Our alteration and service usually works on a 3 to 4 day turnaround as some garments are all processed at our tailoring facility outside London. We will try to accomodate those customers requiring an express service dependent on the workload of our on site tailor, some items may be turned around sameday or within 24 hours. Please consult a member of staff for details and costs. Monday to Friday 8.30 a.m. - 5.30 p.m.
A free estimate and a postal service is available for those customers who are not able to come to our shop. We offer a complete alteration service from shortening and lengthening, right through to slimming down items.There is not much when it comes to clothing alterations that we cannot or will not do. 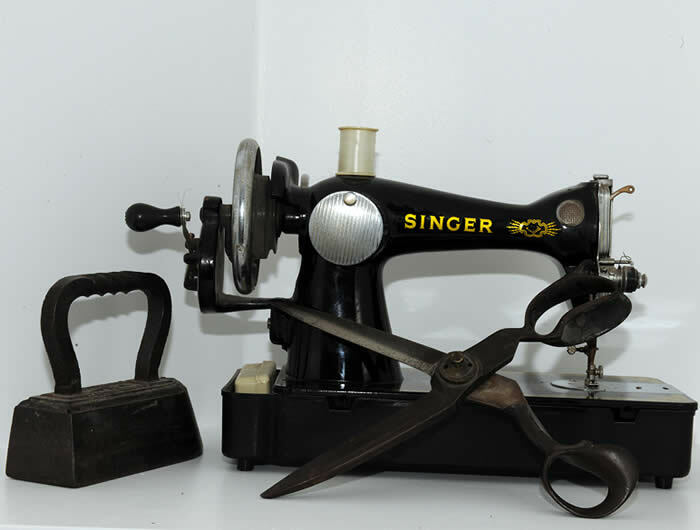 Within our premises at Thayer Street, we have a dedicated fitting room where customers may try items of clothing and have them pinned and professionally fitted prior to alteration. This facility is not one that is commonly found in most dry cleaners and is incredibly popular with our clientele, many of whom are regular visitors not wishing to entrust the alteration of their clothes to any other. A more recent addition to our portfolio of services is the re-introduction of our gents made to measure service. It could be described as going back to our roots and is proving to be most popular with some of our clients who prefer to pick their own cloth and get suits and jackets made to their exact specification and fit. Our team of experienced staff are always on hand to provide expert advice and help and we look forward to being of service into the next century.